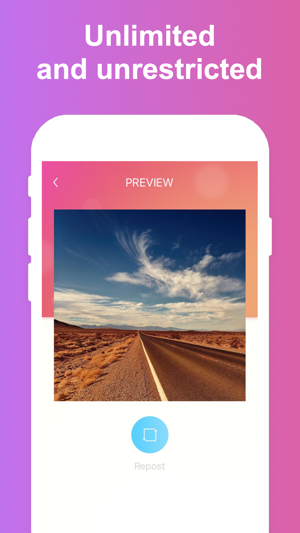 Regrammer is the best way to repost photos and videos to Instagram. 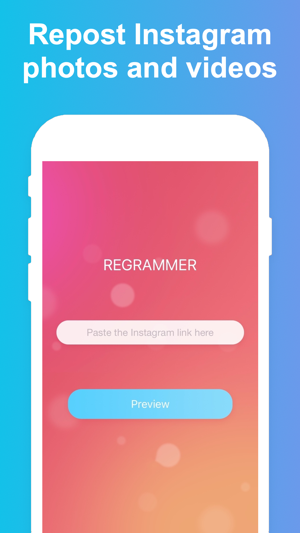 Upgrade to the Pro version of Regrammer to remove ads, and support the ongoing development of the app. Payment will be charged to your iTunes account at confirmation of purchase and will auto-renew at the same price every year, unless canceled in your iTunes account settings at least 24 hours before the end of the current period. Subscriptions may be managed and auto-renewal may be turned off at any time by going to your account settings after purchase. 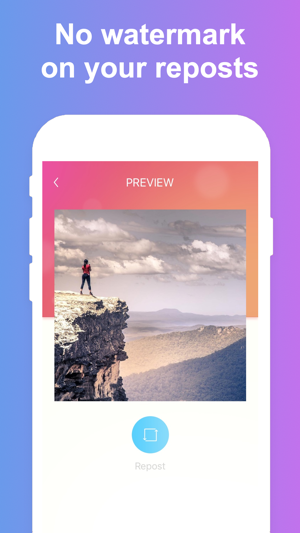 In accordance with Instagram’s policy, this app can only repost content from Public accounts. Instagram is a trademark of Instagram, Inc. 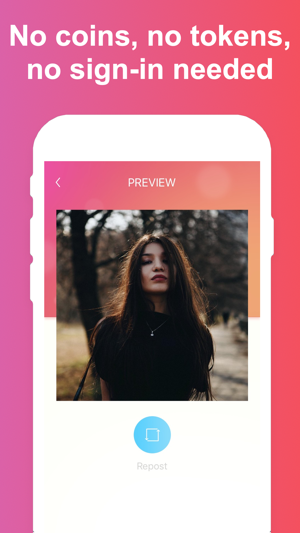 This app is not affiliated with Instagram, Inc. This update fixes an issue that would sometimes happen when buying the Pro version of the app. This app is the freaking best PERIODT. Every other app like Instagram++ has been on crack and not working but this app has saved my life. It saves to your camera roll when you click upload to feed and it automatically is in your gallery so that’s genius even though the save button is again. Props to the team. So helpful and easy. It’s a good app for its purpose, but I hate how I deleted it, then it disappeared from the AppStore for months, and then I find it again and it doesn’t let me download the videos to my camera roll. That was my main use for it, but it doesn’t have that option anymore. Before they did that, though, this was a great app and easy to use. Hello. Sorry to hear you're having trouble with the app. Please take a look at our FAQs which give answers to common issues with Regrammer https://www.sixstarapps.com/regrammer/. Feel free to email me at ben@sixstarapps.com if you have additional questions or comments. Thank you.